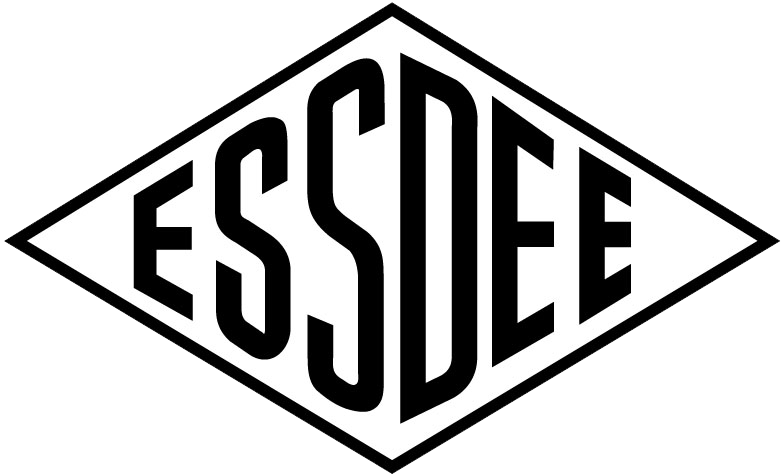 With brands such as Essdee, Seawhite and Speedball we have everything you need to make bespoke, hand carved lino prints. Keep your work steady with this sturdy bench hooks. Simply place on the edge of your desk or work surface for tidy, safe working. This Speedball Block Printing Ink Set contains 6x 1.25floz tubes of water-soluble blockprinting ink. Colors included in this ideal starter set are black, blue, green, gold, red and yellow. Inks may also be used for stamping, scrapbooking and card crafting. Suitable for beginners, in addition to accomplished crafters. Hessian backed linoleum blocks made specifically for printmaking. 3.2mm thick and available in a variety of sizes. The Essdee Lino Printing Hand Guard can be held either at the corner of the block or on top of the carving material close to the area to be cut, keeping you safe from any slippage and reducing the risk of unfortunate accidents that would keep you from lino printing. Can be used for both left and right handers and is a must for your lino printing cache! The Essdee Lino Cutting and Printing kit includes a wide selection of tools and materials for Lino cutting and printing, giving the user th epossibility of experimentation with bespoke and artisan printing techniques. Suitable for beginners and experienced users, the 6 different lino cutters include 'U' and 'V' shaped cutters, allowing for varying styles of carving. In addtion, the safety cutter and hand guard ensure safe operation. Full instructions are included. The burnishing tool (baren) opens ups by unscrewing the join, included are the 5 precision lino cutters in style 1 - 5. Once detached the baren handles become a sturdy lino cutter handle with an expandable collar into which the cutters fit. Storing the lino blades ithis way gives you a clean and convenient lino tool set. This Essdee Lino Carving Tool Set includes 5 gouging tools and a handle. Blades include two sizes of 'V' gouge, two shallow 'U' shaped Gouges, and a precision blade. This Essdee Lino Carving Tool Set includes one handle and ten assorted blades which are compatible with the handle supplied. The assortment of blades includes 'U' and 'V' shaped gouges, in addition to a blade for precision work and a flat-bottomed gouging tool for clearing large areas.